Curtains Blinds Wallpaper Singapore: Is Curtains Suitable For HDB Flat? Is Curtains Suitable For HDB Flat? This is perhaps the most asked question by people who come to rent the HDB flats in Singapore and the straight and right answer is, yes you need them. For starters, the HDB flats in Singapore are so close together and also there corridors and balconies are easily accessible hence one need curtains primarily for privacy. Although, this is not the only reason why you have the hdb curtains as they are also need for privacy and sound deafening. If you are having trouble deciding on which curtains to purchase, read the article below which gives the steps on how to go about choosing the right curtains for HDB flat. After that you can out there in the market with the right knowledge on what to purchase. 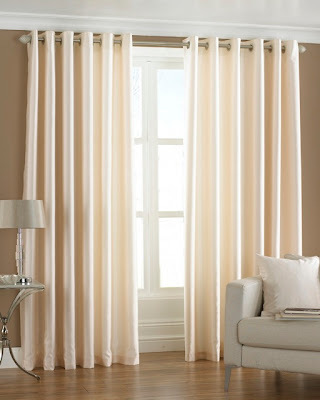 This entails that if you need a curtain for decoration or for privacy. As I said before the HDB flats in Singapore are very close to each other the need for darker curtains for privacy. The curtain you choose should be able to filter in enough light, heat or breeze while at the same time ensuring your privacy. There is also the option of having double curtains i.e., a transparent one and also translucent one. You can use the transparent one when you need more sunlight in your flat and the translucent one when you need the privacy. Make sure that the curtains you purchase are an inch higher than that of the windows you have. This will give them a wonderful view as the windows will appear larger than there actual size. The best view is when the curtains are all the way to the ground. You may feel that you don't have privacy when you switch the lights on at night, hence you can invest in different colors to create a shadow hence they wont be transparent anymore. As mentioned above, the best way is to have a pair of transparent and translucent curtains. Window size curtains cover the whole window while the half size ones come in pairs each covering a side of the window. I would recommend that you use the half size curtains for you can draw them apart to let in the amount of sunlight you want and also you can regulate it. The importance of the lining is that it protects the curtain from dust and especially from the windows. On top of this it's good for insulation as it reflects away excess sunlight, hence providing your flat with a cool breeze even if there is excess outside. With the above information, you can now join other curtain shoppers on the markets of Singapore and a curtain that suits your HDB flat well. Just mention the two important points, privacy and decoration, and the tailors will help you choose a classy curtain which will suit all your needs.